Since 1987 for one weekend each February, the Camden Conference has been “bringing the world to Camden” by hosting a focused meeting of speakers, journalists, and academics to discuss and address foreign affairs and world issues. The Camden Conference attracts attendees from various backgrounds and ages, all of whom are interested in foreign policy, public discussions and in learning more about world affairs. The most recent Conference attracted over 800 participants, and with the adaptation of current technologies, the Camden Conference is now available to people worldwide. 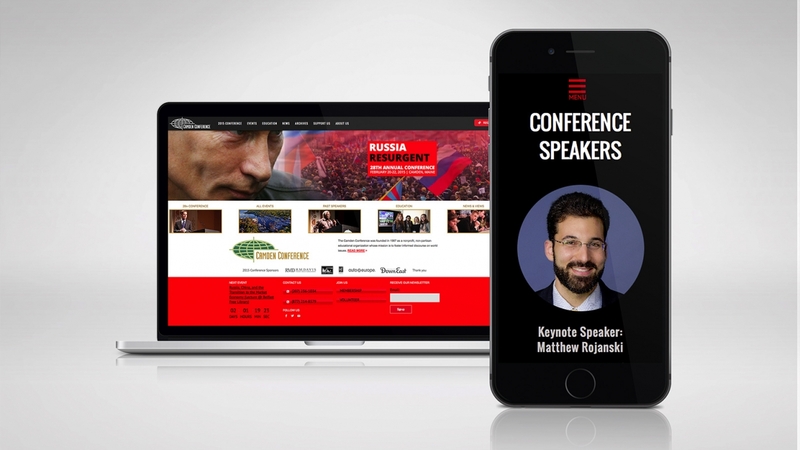 Bonneville Consulting was hired to completely revamp the Camden Conference website with current functionality and a refreshing modern look, taking this very prestigious organization to a new level of recognition in their space. The conference sold out much earlier than in previous years thanks to a new and more exciting website. The addition of a combined registration/membership form increased membership signups.